Camping Château de l'Epervière är en camping i Gigny-sur-Saône, Saône-et-Loire. Campingen har platser med stängsel, utan skugga och platser med lite skugga. Det finns möjlighet att hyra husbilar och lägenheter. Denna inspektör gör varje år ett besök på Camping Château de l'Epervière och inspekterar campingen för ca 200 faciliteter och för andra förekommande punkter. Inspektören är en medarbetare från ACSI och arbetar inte för campingen. I'm not sure why this site is so highly rated including by The Caravan Club of UK. It's fine for an overnight stop but it's in the middle of nowhere although there are a number of walking and cycling routes. We had an unfortunate experience. We didn't pre-book so space was limited so we were directed to a shaded corner which we were told we could have for a week. We soon discovered why, the place reeked of sewage because the village pump had broken down. We complained but the management said they could do little to solve the problem but I told them that they should have closed off that section and not put us in that position. They did apologies but we left a day later. No one gets browny points for handling a situation badly. Lovely site ,very hot showers, some pitches near the castle are gravel, others are grass with some shade. Noisy frogs at night near the lake. Good restaurant but can be expensive, also takeaway which is more reasonable. Site very well presented and clean. Stunning campsite, very well laid out with good size pitches. Excellent toilet and shower facilities. The resturant is well worth a visit, lovely food and surroundings and reasonable prices. The site is very well run and has excellent facilities – large pitches in pleasant surroundings: excellent toilet laundryand shower facilities: very well stocked shop: good bar and first class swimming(heated indoor pool: good outdoor pool and new, adjacent, well designed children’s swimming pool. The seventeenth century chateau has a very good restaurant and does take-away pizzas and boeuf bourgignon. As well as all this there are 3 evenings a week of free winetasting. Within5 minutes walk from the site you are on the banks of the Saone. The area is extremely rural and quiet but easily accessible from the main road networks. One of our favourite sites in France. Great staff, always a friendly welcome ... toilet and shower facilities spotless and cleaned regularly and often. large well kept pitches and a very very good restaurant. Convenient to the autoroute and either a great stopover site or for a few days chillout. Great site. Vill du boka campingen Camping Château de l'Epervière eller få mera information? Det går bra med nedanstående uppgifter eller via campingens webbsida. 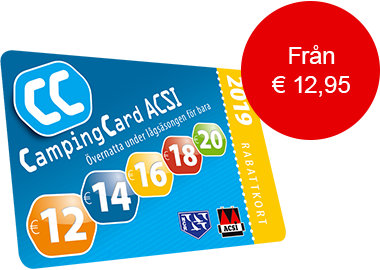 ACSI Eurocampings skickar din informationsförfrågan till "Camping Château de l'Epervière".